If you want a step-by-step MetaTrader 4 tutorial about investor password then continue reading. What is an investor password? Investor password in MT4 is just another password to login to your MT4 account. It’s a secret phrase containing numbers and letters. It gives read-only access to the trading account, and this is how you can show your trading results to other traders. 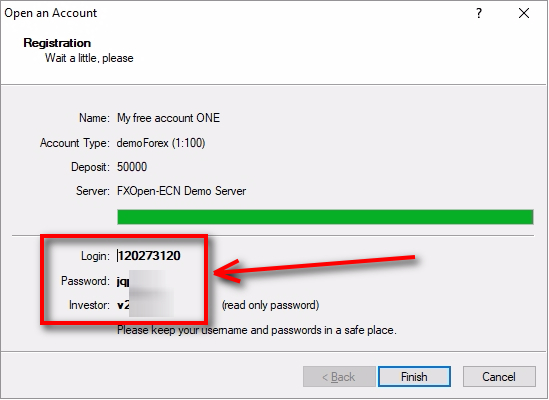 Each MetaTrader account has two passwords – main password (a.k.a. master or primary) and an investor password. Each password gives us different permissions in the trading account. Usually, we log in to MT4 account using the main password as this is what Forex brokers provide us. The main password gives us all trading permissions. It means we can open new trades, and change or close existing trades. When we log in to MT4 account using an investor password, we do not have any trading permissions. We can only see the open trades and account history. When you give your investor phrase to other traders, they can evaluate your trading strategy. And of course, you are safe because trading is not allowed in investor mode. You can share your read-only password with anyone you want: other traders, your friends, family, clients, etc. Give your investor password to friends and family so they can see your trades. They can take the same trades or learn from your trading. Give your investor password to potential investors so they can evaluate your trading performance. Use your investor password to upload and verify trading record on Myfxbook. It will show you analytics of your trading. Sell access to your MT4 trading account via investor password for additional income. Other people can buy it to access your trades and copy them to their account. When you log into MT4 using the investor secret phrase, traders also call this “investor mode” or “MT4 investor account”. In MT4 investor mode, the platform does not allow any trading operations. It means you are entirely safe to share your investor secret phrase with others. If at any point you want to deny this access you change the read-only password. Investor password is usually created automatically by your Forex broker when you open an MT4 account with them. Both demo and live trading account have them. 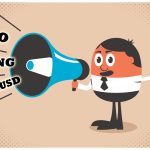 You are presented your investor secret phrase every time you create a demo MT4 account. Make sure you write it down. You can find it in the Mailbox tab at the bottom of MetaTrader. Brokers might send it by email. You can create it yourself if you have the main MT4 password. Best way to keep your MetaTrader passwords safe and be able to find them anytime is to save them as a screenshot on your computer. After you create an account on MT4, the last screen of this process will show you all information on the new account. In the example screenshot, you can see it shows account name, type, deposit type, server name, login (MT4 account number) and both password (main and investor). If you click Finish at this stage, you won’t see them again. Forex broker might send them to your email, but usually, they don’t. So it is best to save this window as a screenshot on your computer. I have a folder on my computer. Every time I create a new MT4 account I always save passwords as a screenshot. The file name is MT4 account number (login), so it is easy for me to find it when I need it later. Additionally, I have linked this folder with my Dropbox account, and it means I store all screenshots in the cloud as well. I can access them from any other device too. 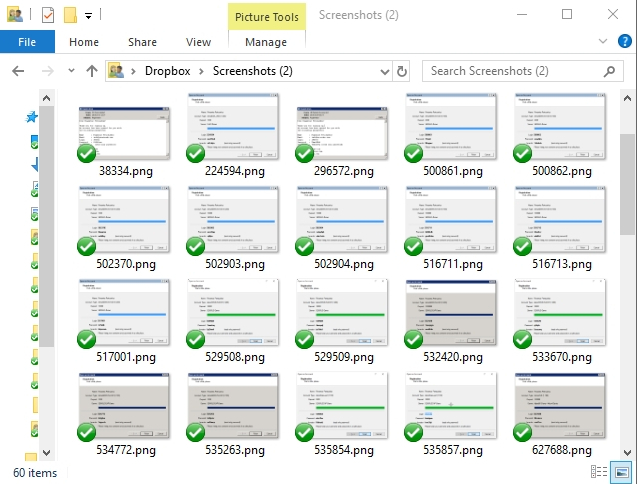 Here’s how my screenshots folder looks like. Dozens and dozens of MT4 account credentials saved as images. I can find any password to any account I need anytime. If you did not save your MT4 passwords and your broker did not send them in your email inbox, then you can search for your investor password in the Mailbox tab at the bottom of MT4. Usually, there are lots of messages from the broker. What you need to look for is the message with the subject “New Account Registration” or something similar. Then, click the right-mouse button on it and choose “View“. In the “New Account Registration” message you can find both MT4 passwords, main password, and the investor password. Make sure to double check the Login if it matches the MT4 account number you need. It could be that you will have multiple messages with passwords if you had several accounts on that MT4 platform. 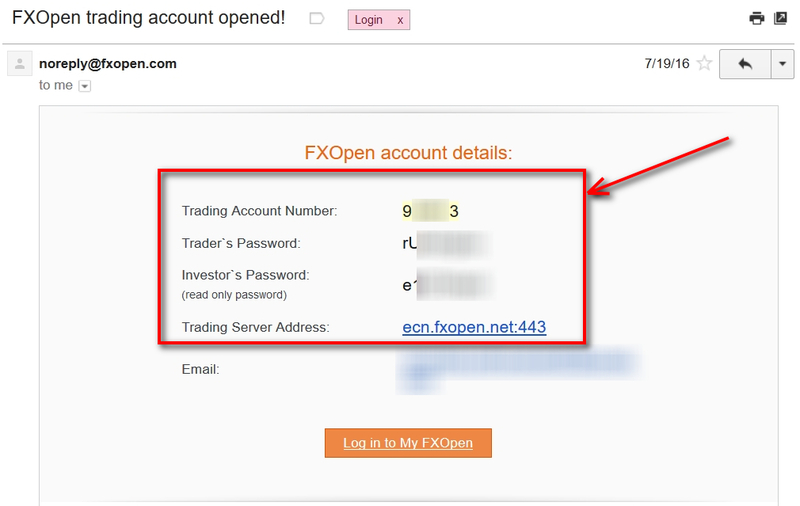 When you open a real trading account with the Forex broker, they usually send MT4 login credentials by email. So you can find it in your inbox. For me, the easiest way to do this is typing MT4 account number in the search bar. Not all brokers might send this information by email, but if they did, then you might find read-only password and master password easily. 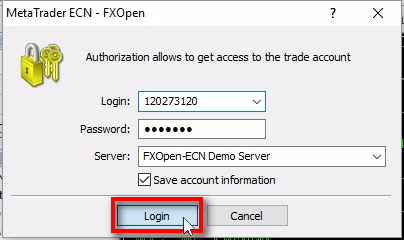 Click on “Login to Trade Account” in the “File” menu at the top. 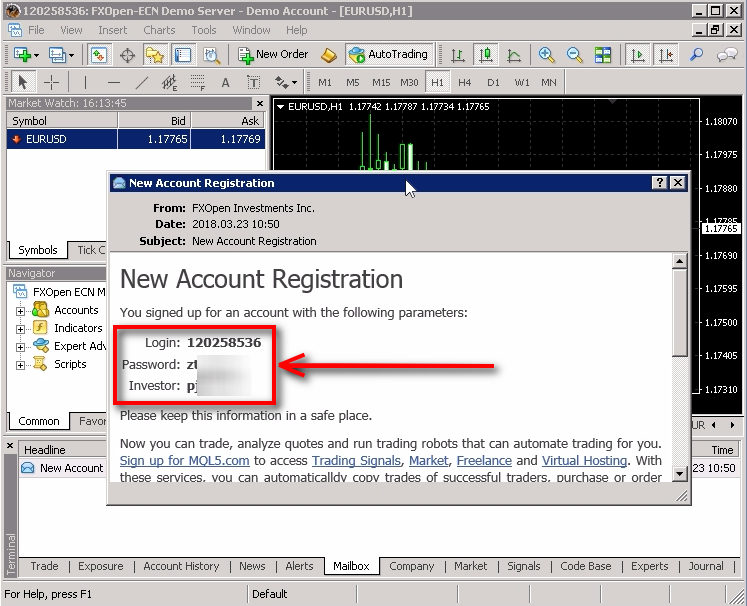 In the login window, type login (MT4 account number), investor secret phrase, and server name. It is quite convenient to have “Save account information” checked so that you don’t need to enter these credentials in the future. In this window, you can log in to MT4 account using the primary password or investor password. For example, let’s say you have Pepperstone login credentials. You would type them in this window and click on “Login” button. 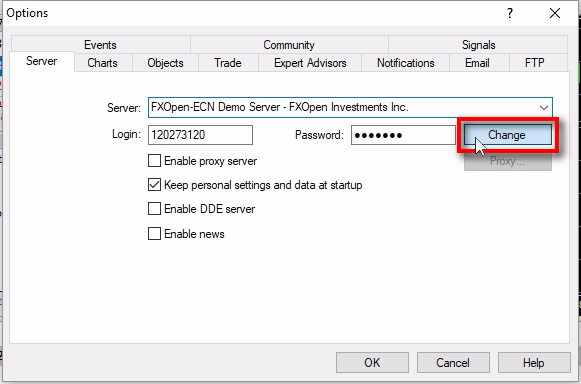 In this example, I use FxOpen demo account, but the same procedure is for any MetaTrader terminal from any broker. The difference is only the server name as each broker has different server names. So make sure you have installed MT4 from the right broker so that you can see their server names on this list. Investor mode or Master mode? When there is a possibility to log into MT4 using two passwords it is a good idea to learn how to tell which password did you use exactly? When you login into MT4 with read-only password it means you are viewing the account in “investor mode” or “read-only” mode. It means you cannot perform any trading operations like opening trades, modifying trades or closing them. After you login into MT4, you can open the “Journal” tab at the bottom of MetaTrader to find the “investor mode [trades are not allowed]” message. It tells you that you are logged in using the read-only password. Another way to know if you are logged in with investor password or main password is to look at the top toolbar where the “New Order” button is located. In investor mode, this button is disabled. When you log in using the main MT4 password the “New Order” button is enabled, and you can open new trades. If you click on “New Order” button, you’ll see a new window opens with Sell and Buy buttons. In investor mode, MT4 also hides other menus for trading. If you click right-mouse button on the chart, then you’ll see there are no trading menu options there. 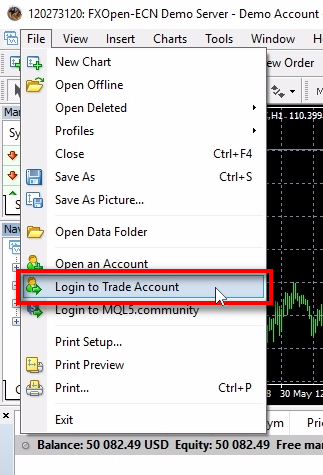 Here are trading menu options when logged into MT4 using the master password. 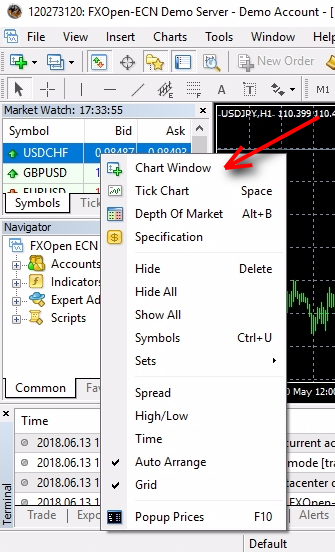 “New Order” menu is also hidden in the Market Watch popup window when you log into MT4 using investor password. 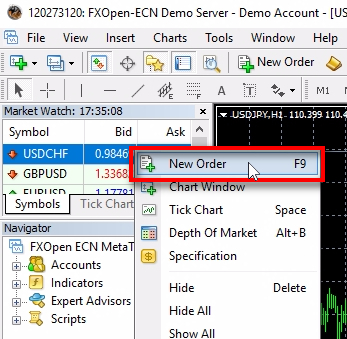 “New Order” menu is available in Market Watch popup if you log into MT4 using the master password. Now you know how to find out if you’re logged into MT4 investor mode or trader mode. Next, let me show you how you can change investor secret phrase if want to cut out all the people who already have investor mode access to your MT4. The same steps to change the investor secret phrase can also be used to create it. Basically, to make it clear. Every MT4 account has a read-only password created by default. You just might not have it if your broker did not send it to you. 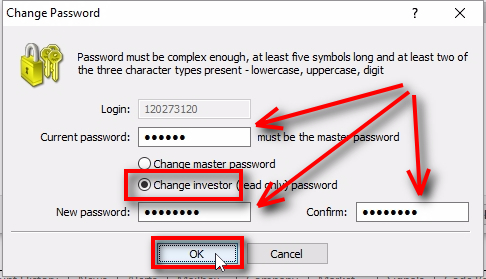 So usually, when someone says “create investor password” or “delete investor password” it simply means “change MT4 investor password”. Want to delete old investor secret phrase? Change it to a new one. Want to create a new investor secret phrase? Change the old one. Want to cut out everyone from your MT4 account? Change the investor password. You will also need to set a new read-only password if you are uploading your trading track record on Myfxbook and want to verify the ownership of the account. Now let me show you how to change it. To change the read-only password, you’ll need the main MT4 password. It will open “Change password” window. As you already know, you need the master password to change the read-only password. Enter your MT4 master password in the “Current password” field. Then, select the “Change investor password” option. Be careful here. If you choose another option, then you’ll change the master password. And finally, enter a new password twice. Click “OK” button to change the password. If the password is changed, this window will disappear. If the password is not changed, this window will stay open. In this case, I would suggest you type the passwords all over again and try clicking the “OK” button. Make sure you enter a correct master password. Make sure your new password match in both fields “New password” and “Confirm”. Also, I believe there are specific requirements for the read-only password. I think it has to have letters and numbers and must be at least seven characters long. As explained previously, to delete the read-only password you have to change it to a new one. When someone says that they are investor password Forex trader, it means they are copying Forex trades from another MT4 account logged in using investor secret phrase. It is quite a common thing to do because you can easily copy all trading positions from MT4 investor account to other MT4 accounts automatically. Basically, investor password from any Forex broker providing MetaTrader accounts. There’s a unique computer program which can link multiple MT4 accounts together and copy trades between them. This software is called the Local Trade Copier. 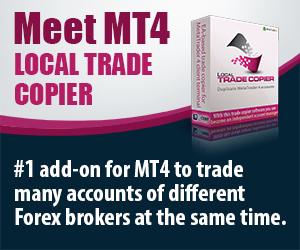 Local Trade Copier is an add-on for MetaTrader 4, and it can copy trades between many MT4 accounts instantly and simultaneously. Investor password MT4 access is enough for the Local Trade Copier to read the open trades and pass them to other MT4 accounts fast and accurately. 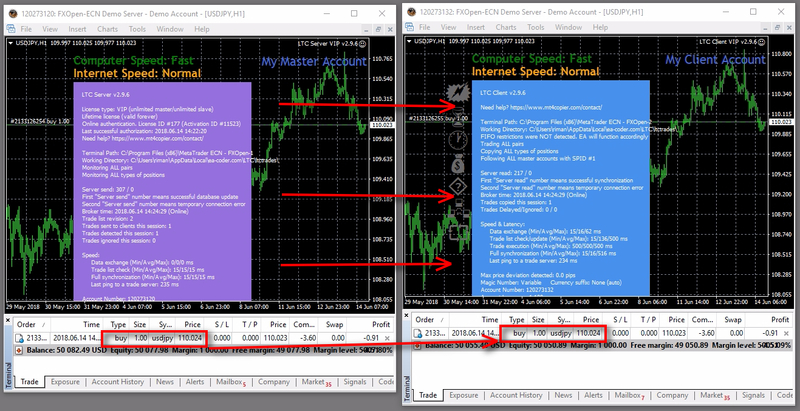 In the image above you can see two MT4 accounts connected with the LTC copier and a USDJPY BUY trade copied at the same price of 110.024. Let me give you an example. Let’s say you have five MT4 accounts on the same computer. You can install Local Trade Copier on each platform and connect them together with the Local Trade Copier. You choose the first account to act as a master account and other MT4 account act as client accounts. MT4 account acting as a master can be running in investor mode. It means you can log into the MT4 account using the investor secret phrase and with the help of the LTC copier open the same trades to other MT4 accounts at the same time automatically. If you want to copy successful Forex traders automatically, then you can do it if you have a read-only access to their MetaTrader account. 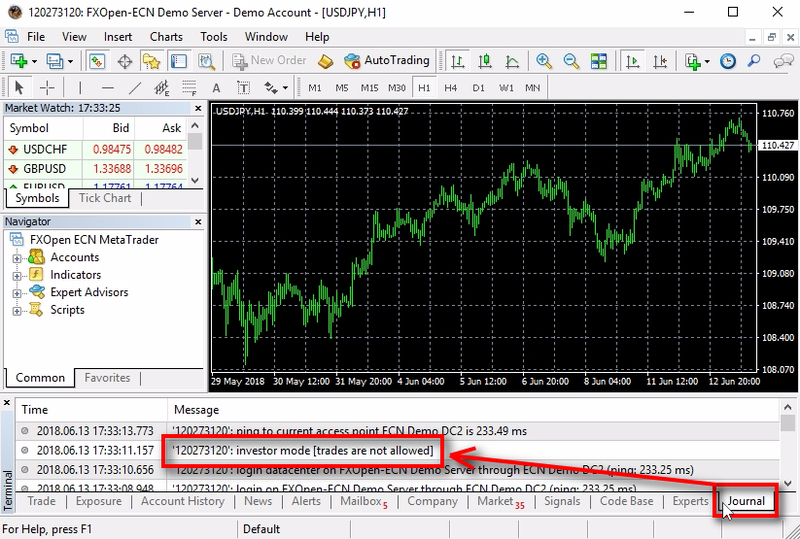 – Read-only password or main password to the MT4 account acting as a master. Click here to buy investor password MT4 access. – Main password to MT4 accounts acting as clients (must be logged in using the primary MT4 password, cannot use investor secret phrase here). 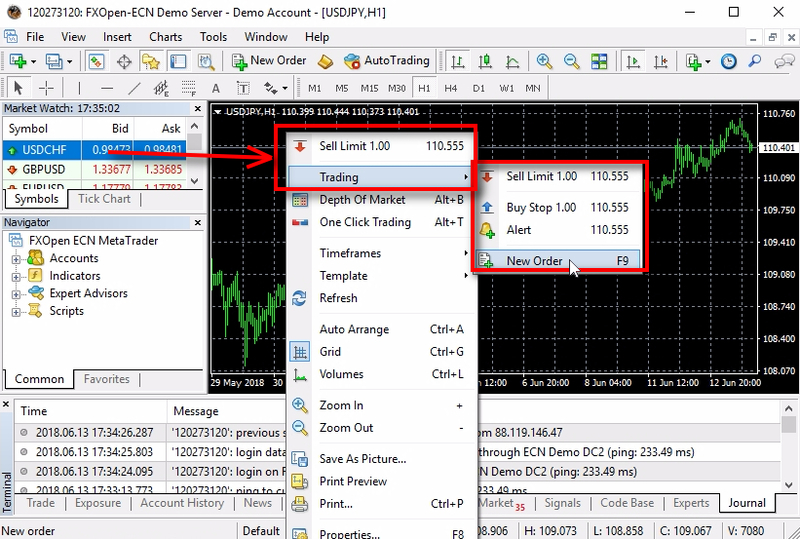 – Install multiple MetaTrader 4 terminals on the same computer (follow this tutorial). 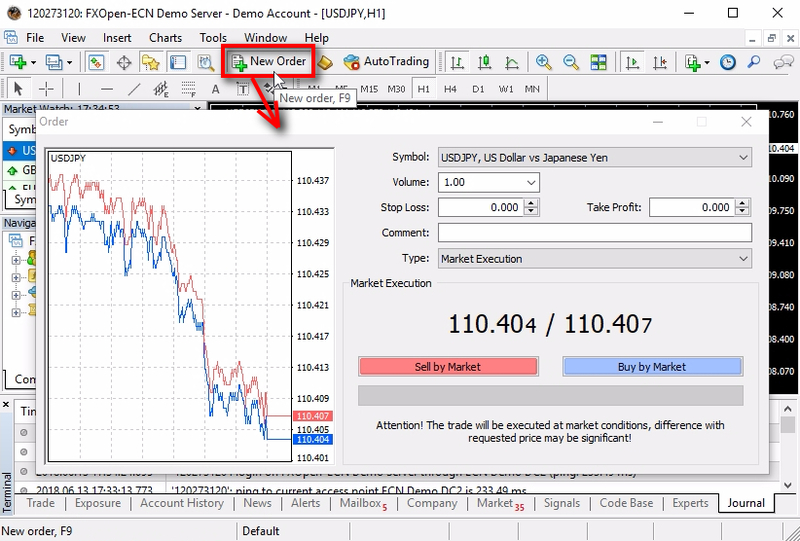 – Learn to run multiple Expert Advisors on the same MT4 account (follow this tutorial). Now you know everything about the MT4 investor password that a Forex trader should know. I hope this MT4 tutorial was helpful for you. 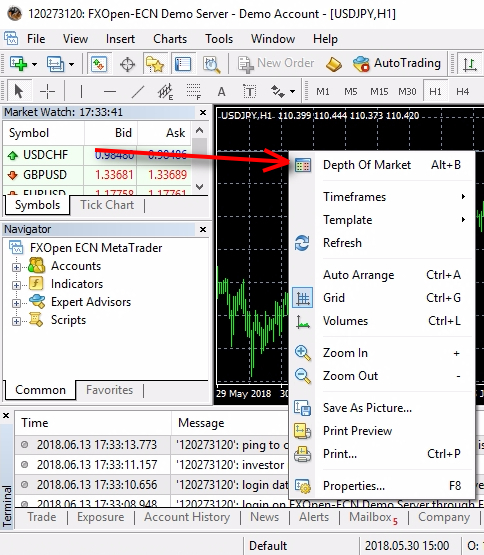 If you want to receive MetaTrader 4 tutorials like this, then subscribe to EA Coder newsletter and even submit your MT4 question. So, how will you use it? I recommend you to try trade copying between a few demo accounts and then copy Forex trades from Vavatrade investor password account.